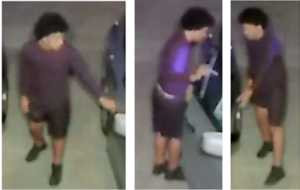 The Palm Beach County Sheriff’s Office is seeking the public’s assistance identifying suspects WANTED for CAR CREEPING in Counter Point Estates. These unknown males were captured on surveillance pulling on vehicle handles in an attempt to burglarize them. Unfortunately they were successful in entering one. This incident occurred April 5, 2019 at 3:45 am. Counterpoint Estates is located off Belvedere Road and State Road 7, Royal Palm Beach. ← The Palm Beach County Sheriff’s Office is seeking the public’s assistance identifying a suspect WANTED for stealing a valuable chemical sprayer.